As Manifest welcomes two upcoming Chicago performances with the London Electronic Orchestra and a DJ set at Spybar, we decided to catch up with Kate Simko, a Chicago native now residing in London, to discuss her career in music and get to know a little bit more about the LEO concept. John C: Your introduction to music came at a very early age, beginning with the Piano. Was your family involved with music at all, or did it simply evolve as a personal passion for you? Kate Simko: Growing up, my grandmother and father were both very passionate about classical music. My grandmother played classical piano and organ until her early 90’s, and my dad listened to classical music constantly and took our family to Chicago Symphony Orchestra concerts. Then in my teens the big influence was mix tapes of Chicago house and Detroit techno, and then later the Chicago post-rock scene combining electronics into rock music in a new way. The 90’s and early 2000’s were a really exciting time in Chicago for music! John C: As an early teenager, you were then introduced to electronic music, an introduction that could be considered almost paramount to your career. What specifically about electronic music attracted you? John C: As your interest in electronic music continued to foster, when did you decide that you wanted to begin producing the music and DJing yourself? Did you have anyone specifically who acted as a mentor to you during this stage? Kate Simko: At a certain point around 18-years-old I realized I would never be fully content playing classical piano, and that what I truly wanted was to make my own music. I was spending four to six hours a day practicing Beethoven, but I wanted to find a way to make my own music. This was a real life changing moment. So I moved back to Chicago and began jazz piano lessons, DJing on the radio, and my first attempts at production. 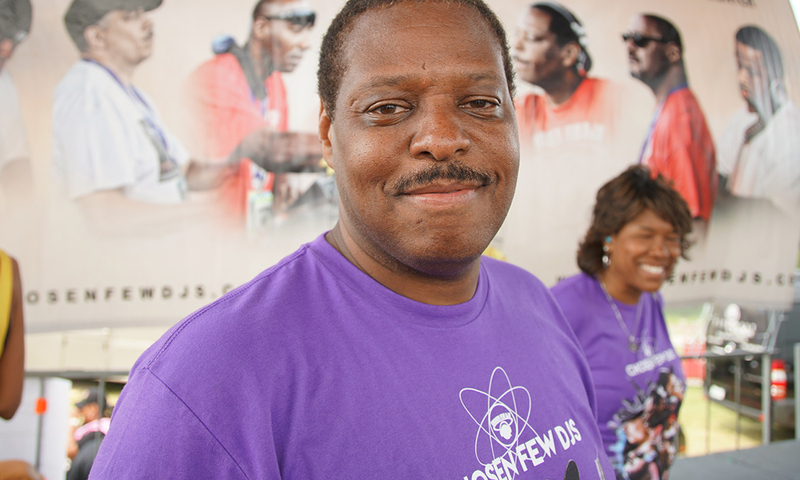 John C: Although a Chicago native, you currently reside in London. What inspired you to move to London and what impact do you think it might have had on your music? Kate Simko: I moved to London in 2012 to get a masters in Composition for Film at the Royal College of Music. The main hope of moving and doing this program was to learn how to write for orchestra. While I was there I started experimenting with combining classical instruments into electronic music, and that’s how London Electronic Orchestra was formed. John C: In your experience, are there noticeable cultural differences between the music scene in Chicago and that of London, or even other cities you have played in? Kate Simko: In my opinion, London is the most forward-thinking, vibrant, and diverse city for music in the world. Every genre flourishes there. There is a big classical scene, with many young conductors and ensembles pushing the envelope with new ideas, new compositions, and packed shows. The crowds are super enthusiastic, and there’s just so much energy and talent in the music scenes! John C: While your career as a DJ continued to foster, it seems as if you desired a return towards classical roots. What caused this transition to come to be? Kate Simko: In 2008 I scored a feature-length documentary called The Atom Smashers, and the score was later released on Ghostly International. Scoring this film was a great experience, and also made me realize my limitations as a composer. I was jamming out strings and other orchestral instruments, but wanted to learn more about orchestration and instrumental writing and layers. I guess as a producer and composer I just felt it was time to grow and expand. John C: As your transitioned towards the composition style found in more recent works, such as the music you perform with London Electronic Orchestra, what new hurdles did you face as an artist, specifically in transcribing your creativity into such a new medium? 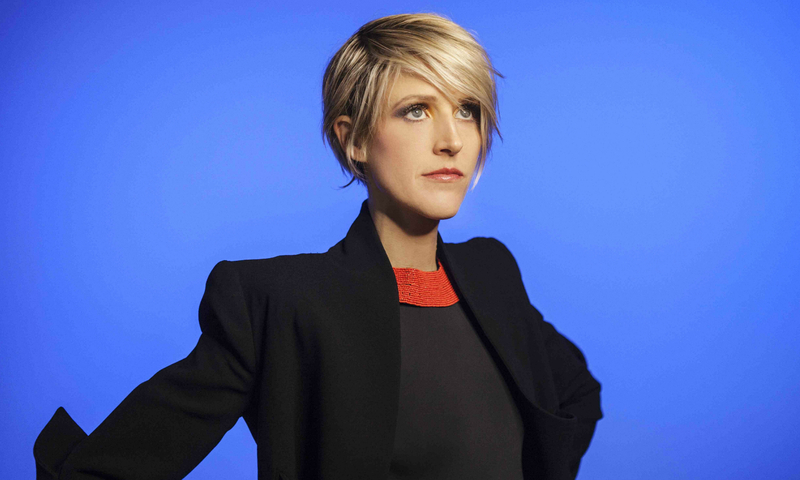 Kate Simko: The biggest hurdle was finding a way to express myself through a totally new orchestral palette. I didn’t know anything about orchestration when I started in 2012! So yeah, there was just a lot to learn. I didn’t sleep much for two years! John C: How has the project with LEO evolved since its inception? Are you satisfied with its current state or do you think the project will always be in a state of evolution? John C: Your pathway in music easily categorizes you as a visionary that has elevated the perception of electronic music in general. Have you given consideration to the wide audience that might be reached through this project, and if so, what would you like the take away to be for them? Kate Simko: Oh wow, well I’d never say that about myself, I’m hoping that London Electronic Orchestra exposes the classical audience and electronic audience to new elements of music. The classical audience sees the instruments used in a new and different way, and often is listening to electronic beats and soundscapes as a rare occasion. And on the electronic side, it’s possibly not often that we’re seeing a harp and other classical instruments being played up close. I love both sides and am happy to share it! John C: Recently, the topic of sexism is dance music has been on the forefront of discussion with many media outlets. I don’t want to frame your work as an artist in the context of the female perspective, as I feel that context discounts the equality of the genders in music, but as an icon to many female electronic artists, do you have any specific advice to share with those who may be reading? Kate Simko: My advice to women and girls is to focus on your goals, skills, and building confidence. If you’re good at what you do – whether it’s music or any other male-dominated field – you will stand out and excel. So it’s mainly a matter of focusing and getting on with it, and ignoring doubters and discouragement. With a president who invests in beauty pageants, grabs women’s bodies, and rates their worth on looks, it’s more important than ever to encourage girls to hone their skills and ignore sexism. John C: What do you miss most about Chicago and look forward to upon your returns to the city? John C: As you look to the future, what do your fans have to look forward to over the next year or so? Do you have any specific goals for over the next 5 or more years? Kate Simko: In the next year I’ll be working on a collaboration with Jamie Jones and LEO alongside a full orchestra. Jamie and I debuted the project in Bogota, Colombia in December, and are aiming to have a handful of shows in 2018. And then I’ve got a bunch of solo dance music to hit, a recomposed classical album, and a feature film score soundtrack in motion. My main goals in the next five years are to tour London Electronic Orchestra internationally regularly, and continue with my solo music and film composition. John C: It has been a pleasure, thank you Kate! Kate Simko: Thanks for the interview, looking forward to Chicago this week! Tickets are still available for this weeks 10PM showing, but are going quickly.